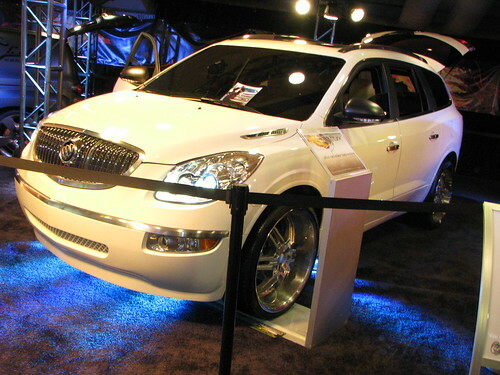 The Buick Enclave returns for its fifth model year in 2012. The large eight-passenger luxury crossover is built on the same architecture as the Chevy Traverse and GMC Acadia. The Enclave has Buick’s design trademarks of watermark grille, blue translucent project beam lights, and chrome portholes and accents. It is currently the only Buick SUV model. The Enclave sees trim changes for 2012. The CX and CXL trims are gone and the new model packages are Base, Convenience, and Premium, which are is consistent with Buick sedan models. Center console 12v outlet and hill-hold assist are now standard features. 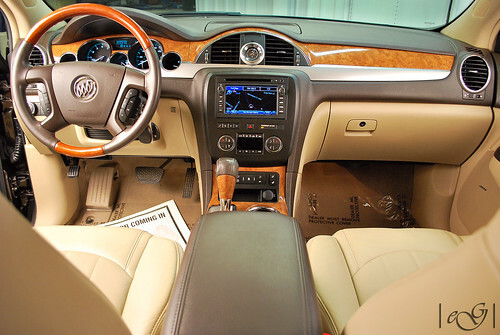 The 2012 Enclave has a starting MSRP of $36,600 in the base front-wheel drive (FWD) trim. The model comes standard with power seats, power windows, tri-zone climate controls, and a six-speed automatic transmission. Buick takes its luxury brand status seriously with features such as triple door seals and an acoustic-laminated windshield to quiet the cabin of the Enclave. In this base form, the Enclave gets EPA-estimated fuel economy of 17-mpg city and 24-mpg highway, which is above average for its class. All Enclaves feature a 3.6-liter V6 that produces 288 horsepower and 270 pound-feet of torque. The engine has variable valve timing and direct injection. The top trim line is the Premium AWD (all-wheel drive), which starts at $45,050. However, even at this price point sunroof and navigation are optional. Fuel economy for the model is 16-mpg city and 22-mpg highway. A fully optioned Enclave Premium AWD will exceed $50,000 in price, making models such as the Audi Q7 a competitor. Interior space is where the Enclave excels. The 2012 model has 115.9 cubic feet of cargo space with the second and third row of seats folded flat. This is larger than the Chevrolet Tahoe. The Enclave offers near minivan-like room with luxurious amenities and the ride height of a crossover. In fact, it has more cargo room than the Nissan Quest minivan and nearly a 1/3 more than the Ford Flex. The 2011 Enclave scored well in the Insurance Institute for Highway Safety’s tests for high-speed front and side crash tests, a rollover test, roof crush, and evaluations of seat/head restraints. It was named on the list of safest 2011 SUVs. The model comes standard with Stabilitrac® with full-time traction control. The Enclave is built in the U.S. It is worth a look in the large luxury crossover class, especially if you value interior space. It offers a quiet luxurious spacious cabin. Its competitors include the Ford Edge, Acura MDX, Volvo XC90, and Lincoln MKT.